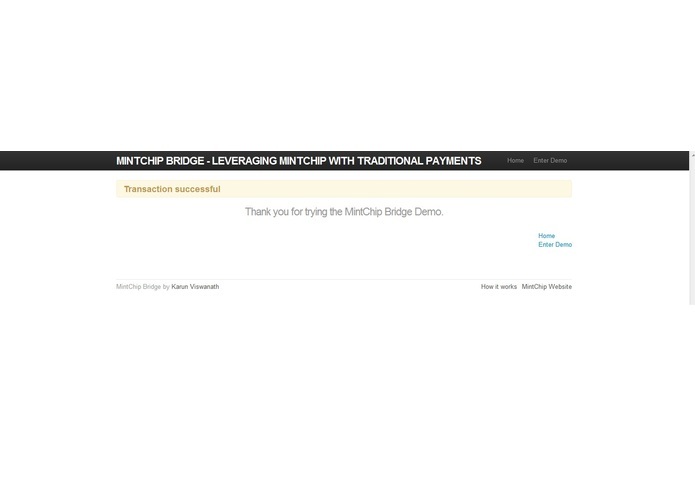 The primary goal of MintChip Bridge is to address the most vexing problem any innovative payment solution faces: adoption and coverage. Merchants do not want to build a brand new payment integration and handle new settlement and reconciliation processes, unless consumers demand the new solution. Consumers on the other hand, will likely adopt a payment instrument that a majority of merchants accept. 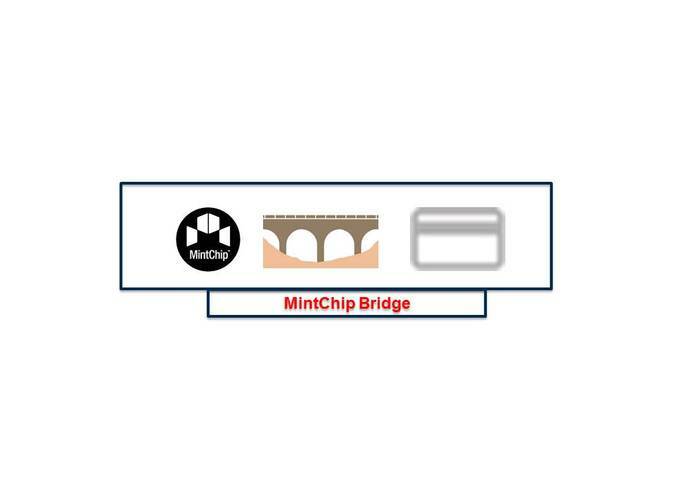 MintChip Bridge aims to fill in the gap between the old and the new by providing value added services that consumers appreciate and can use. 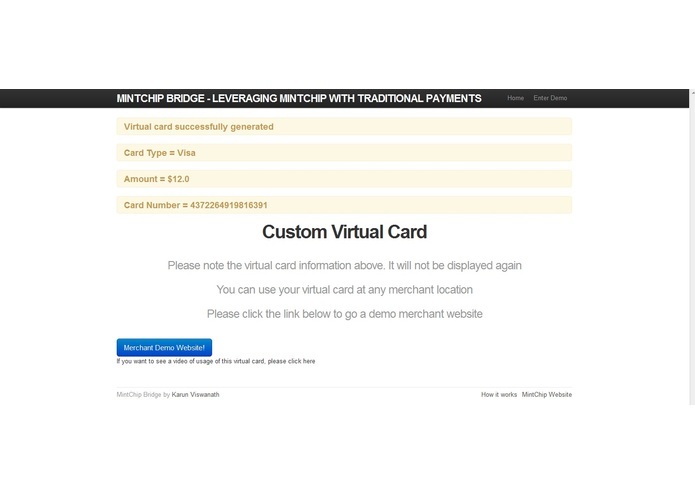 Consumers can generate a custom virtual card using funds from their MintChip. 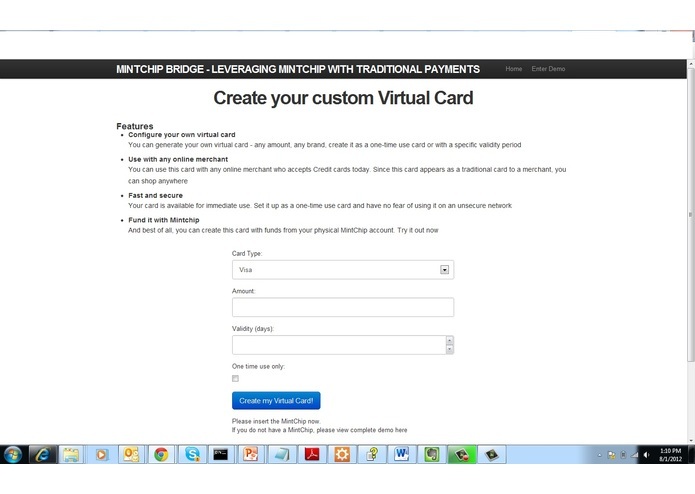 Once a card is generated, they can use this card at online merchant locations to pay for items as usual. 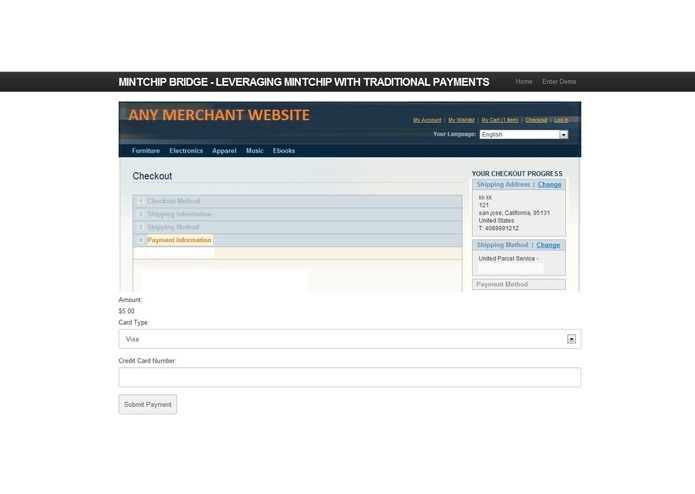 From a merchant perspective, they do not have to change any of their processes. From a consumer perspective, they obtain a safe, secure way of creating their own virtual cards, that they can use anywhere.